Wednesday, March 13, 2019 at 6:00 pm at the Madison Park Neighborhood Association. Location – Madison Elementary School – 1124 Hobart Street. Wednesday, March 20, 2019 at 6:30 pm at the Metro Classic Neighborhood Association. Location – Thorpe Elementary School – 2450 W. Alton Avenue. Tuesday, March 26, 2019 at 6:15 pm at the Riverview West Neighborhood Association. Location – SAPL Newhope Branch Library – 122 N. Newhope Street. Thursday, March 28, 2019 at 7:00 pm at the Com-Link General meeting. Location – SAPD Community Room – 60 Civic Center Plaza. The community is invited to participate in the upcoming Community Budget Meeting on Thursday, October 25, 2018 at 6:00 p.m. in the City Council Chambers (22 Civic Center Plaza). This meeting is being held in accordance with the Sunshine Ordinance which implements additional measures aimed at making city government more transparent. (2615 Valencia St.) at 7:00 p.m.
(1124 E. Hobart St.) at 6:30 p.m.
(2130 S. Raitt St.) at 6:00 p.m.
• Thursday. April 26, 2108 at the Santa Ana Police Dept. The community is invited to participate in the upcoming Community Meeting on the City’s Budget on Thursday, March 29, 2018 at 6:00 p.m. in the City Council Chambers (22 Civic Center Plaza). This meeting is being held in accordance with the Sunshine Ordinance, which implements additional measures aimed at making city government more transparent. The community is invited to participate in the upcoming Community Budget Outreach Meeting on Thursday, October 26, 2017 at 6:00 PM in the City Council Chambers (22 Civic Center Plaza, Santa Ana, CA 92701). This meeting is being held in accordance with the Sunshine Ordinance, which implements additional measures aimed at making city government more transparent. 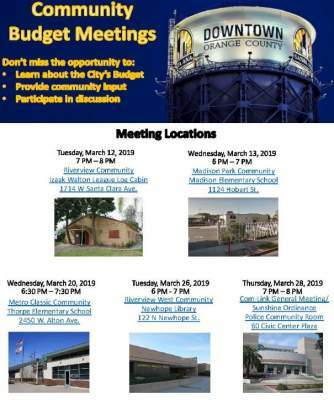 The community is invited to participate in the upcoming Community Budget Outreach Meetings that will take place at various locations throughout the City of Santa Ana. 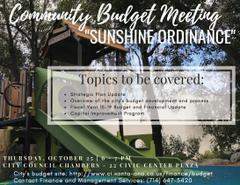 These meetings are being held in accordance with the Sunshine Ordinance, which implements additional measures aimed at making city government more transparent. SANTA ANA, CA (October 23, 2013) – NOTICE IS HEREBY GIVEN:That in accordance with the Sunshine Ordinance, the City of Santa Ana’s Finance Department and City Manager David Cavazos will hold aBudget Outreach Community Meeting on Tuesday, October 29, 2013 at 6:00 p.m. in the Council Chamber, 22 Civic Center Plaza, Santa Ana, California. 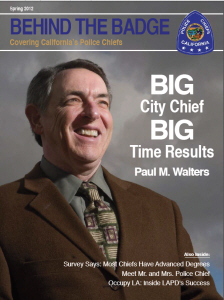 Walters has done such a great job as our Chief of Police that he is on the cover of the latest issue of “Behind the Badge.” Walters credits “experience, relationships, a great team, and consistency” for his department’s success. R. E. D. Real Estate Downtown, in asociation with Westview Services and Chuntana Art is hosting a “Rethink Disability” Art Show to stop the Governor’s 2011/12 budget cuts, tonight, March 5, from 7:00 pm – 10:00 pm, at 207 Broadway St, Suite B6A2, in Santa Ana, at the Art Walk. 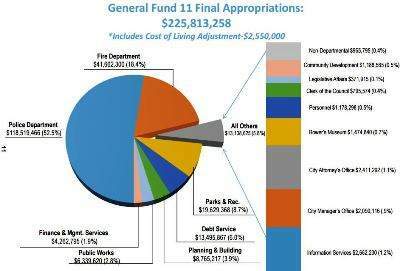 *A $750 million cut represents over 20% of the entire DD budget for community services. Add in federal dollars that will be put at risk and you are looking at closer to $1 billion in cuts. *Not only will California walk away from matching funds, but cuts of this magnitude and the resulting limits to consumer choice would violate federal rules, eliminating more federal dollars. *The community based service system and providers cannot survive a 20% cut on top of the 10% in cuts already absorbed in the previous two budget years. *There is no analysis of what a cut of this size would do to local community service provider agencies-no analysis of the impact on the availability of services in the short term or in the long term. How quickly can any system shrink by one fith and maintain continuity. *Cuts of this magnitude will result in thousands of lost jobs. Not only will service providers have to lay off or severely reduce employee benefits, people with disabilities that our organizations support will lose their jobs too. *This budget proposal effectively dismantles the Lanterman Act, severely limiting opportunities and choices for persons with developmental disabilities who live and work in their communities. *20% is an unsurvivable number! The alternatives are ugly–should we: Eliminate services for 48,000 persons? R.E.D. is asking you to help to alert the community of this pending tsunami of financial destruction. We cannot wait in fear of alarming our vulnerable community. To wait is to be complicit, to say nothing is lay down and abandoned our first duty as advotcates. Standing together, parents, self-adcvocates, service providers, friends are a powerful force. We did it before: We stood up and created this system. Together, we can do it again–and save it! This March 5th, R.E.D. Gallery presents the magnificent artwork from the artistic clients of Westview Services. Let us raise conciousness against the budget cut proposal from the Governor. Let us demonstrate that we as a community can come together to stop all that is detrimental to it. Join us this evening and look at the exciting, interesting, and meaningful artwork masterpieced by persons with dissabilities. Come and sign a petition that will be sent to the Governor to put a stop to budget cuts to our Services System!!! Odilon Delgado is the Art Director for the Art Department at Westview Services, come meet him and talk to him!!!! In addition we will be showing a video documenting the work of Westview’s Clients, by Jorge Linares. 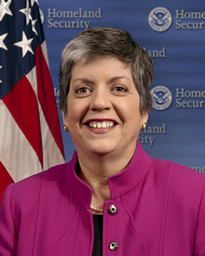 WASHINGTON, D.C. – Congresswoman Loretta Sanchez (CA-47) today questioned Secretary of Homeland Security Janet Napolitano at a Committee on Homeland Security hearing on the President’s Fiscal Year 2012 budget request for the Department of Homeland Security (DHS). Rep. Sanchez was specifically interested in Secretary Napolitano’s take on budget cuts suggested by some House Republicans and the impact those cuts would have on the security and safety of our communities – specifically Orange County. “A budget priority that I have continually advocated for is grant funding for local law enforcement through the Urban Area Security Initiative,” said Rep. Sanchez. “This grant program is critical to adding an extra layer of security in Orange County – in particular due to our vast array of government facilities, theme parks, large entertainment and sports venues, seaports and close proximity to a nuclear plant. I am concerned the Republicans will cut this particular grant funding by over $87 million in the continuing resolution passed by the House, which could lead to the elimination of the UASI grant program in the OC. Secretary Napolitano echoed my concern that these misplaced priorities to local counterterrorism initiatives are unreasonable, irresponsible, and may threaten the safety of our homeland.